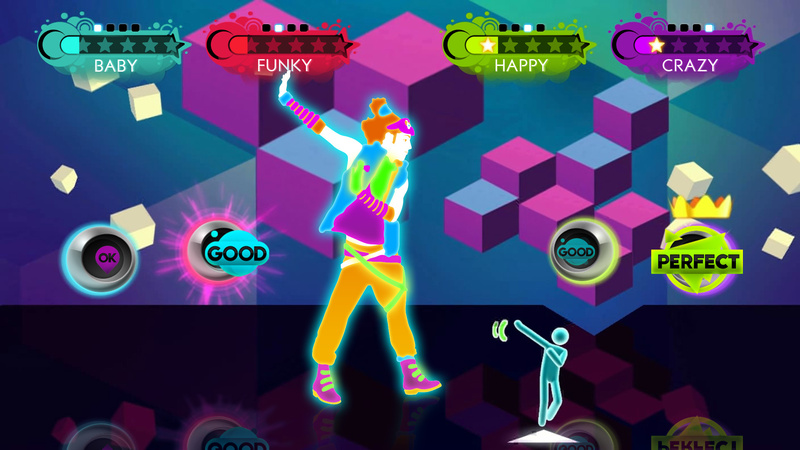 Just Dance is back and the party is better than ever before! 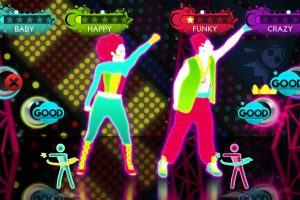 Top Of The Charts: Over 40 all-new tracks, ranging from Billboard/top-charted hits to classic dance party tracks! 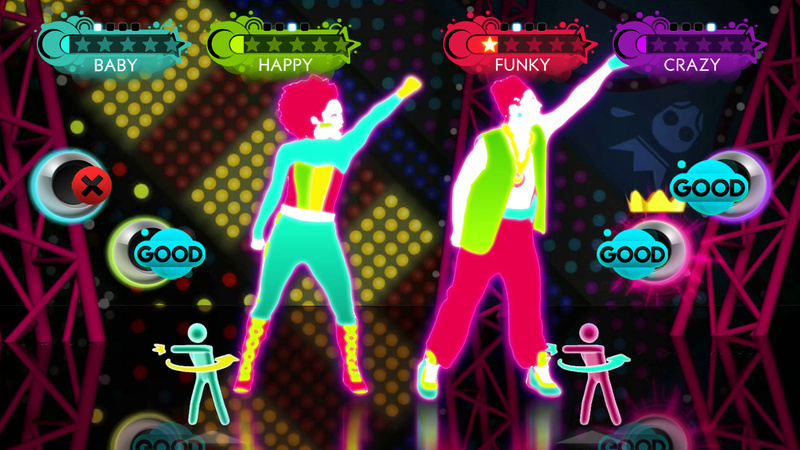 There's something for all tastes, so everyone can find their groove. Want more songs? Download new songs from an expanding catalogue of new tracks at the in-game store. 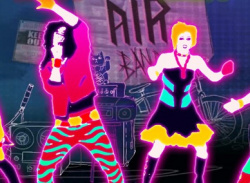 Be Part Of The Band: With now up to 4 concurrent dance routines, it’s your time to shine! 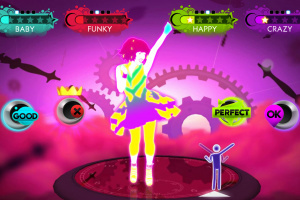 Each player can get their own moment of fame with unique choreographies and moves for each member of the band. Bye Bye Mr DJ: Do you prefer a particular style? 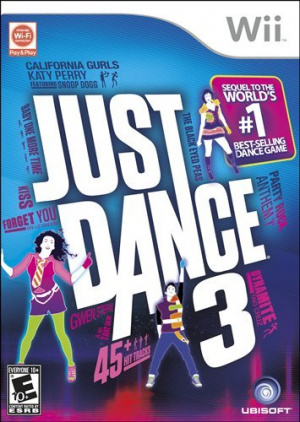 Want to work out or practice your moves? 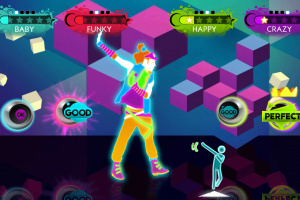 Just Dance 3 offers a variety of playlists to fit your mood! 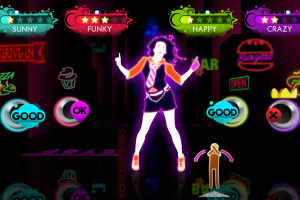 And if a song is not to your taste, you can easily skip to the next! 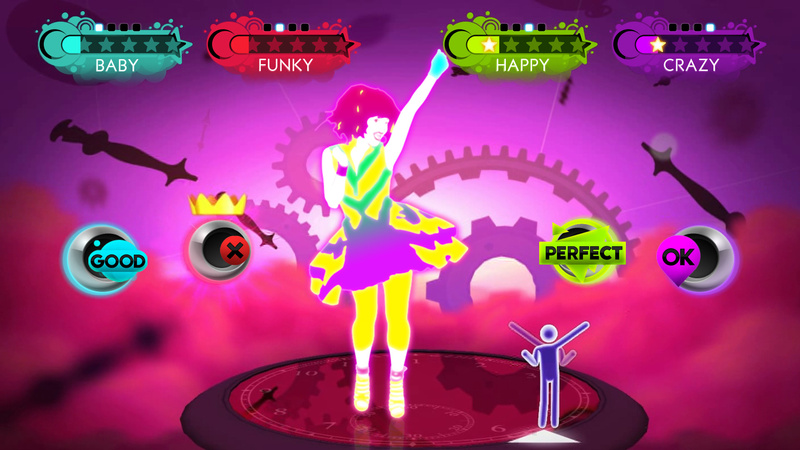 Mix-Up the Styles with coaches teaming-up in Dance mash-up mode, letting you enjoy different dancing styles on a single song, making it a unique experience each time. Just Be Yourself! 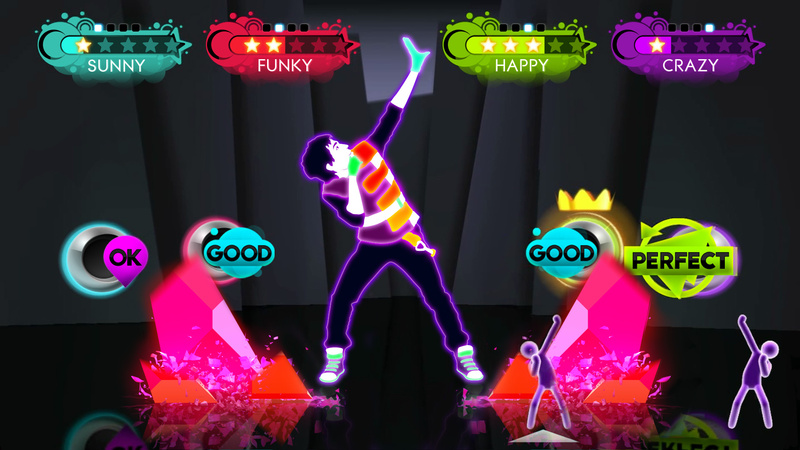 Through a more detailed scoring system, players are rated on different criterion, including being able to see who has the most energy or style! 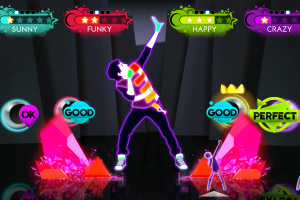 Just Sweat It Out: The popular Just Sweat mode gets an upgrade with more workout plans and playlists. Stay fit, have fun and Just Dance. 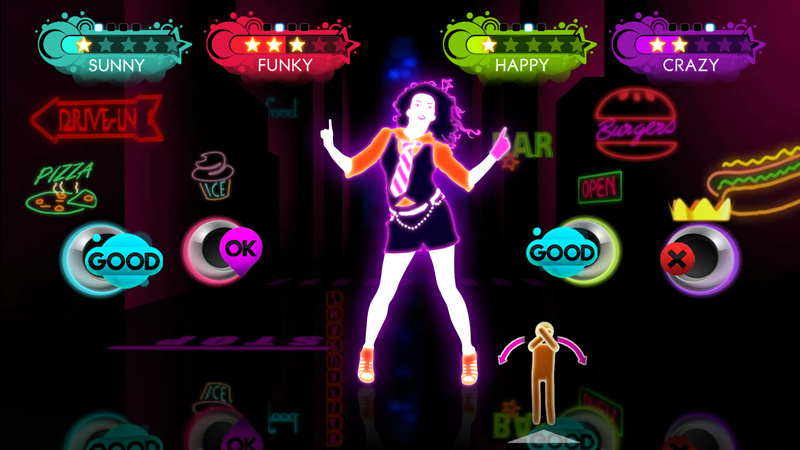 Too Shy to Dance… But Love to Sing?! 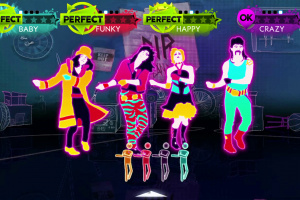 All tracks provide song lyrics on-screen. So even if you don’t score points with your voice, you’re sure to score some with the crowd! 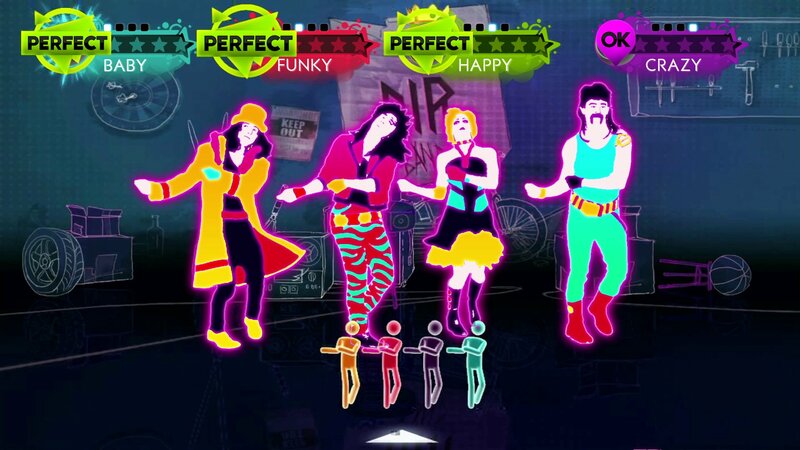 Just Can’t Get Enough: Just Dance 3 still has everyone’s favorite modes like Classic Mode, Duet Mode, Medley, Simon Says and more.